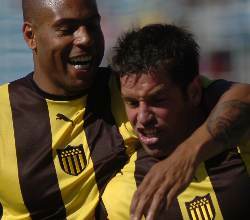 Peñarol upset Villa Espanola with a fantastic gol from Jose Maria Franco. 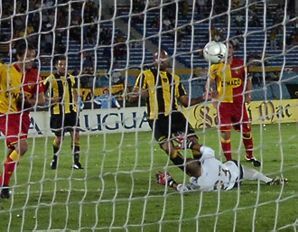 The score ended 3 nil to Peñarol in a game that could have easily ended up the other way. Caballero had an incredible game between the posts for Peñarol. He saved everything that came his way and that confidence translated with a resounding win late in the game. Below is the footage of the game, have a look at the last couple of minutes where Franco scores one of the gols of the tournament.